ICS badges provide unique ways to get recognized and rewarded for the skills you pickup by participating in academic competitions. Your badge points are used to identify your placement in ICS Global Rankings that help students get recognized for college and career opportunities such as scholarships, admissions, internships, and more. As we grow, we will continue to add new badges and new opportunities that you can access through your badges. Get your account today to not miss out on any of the upcoming opportunities! ICS badges follow a standard structure of levels to indicate increasing expertise as you rise through their ranks. 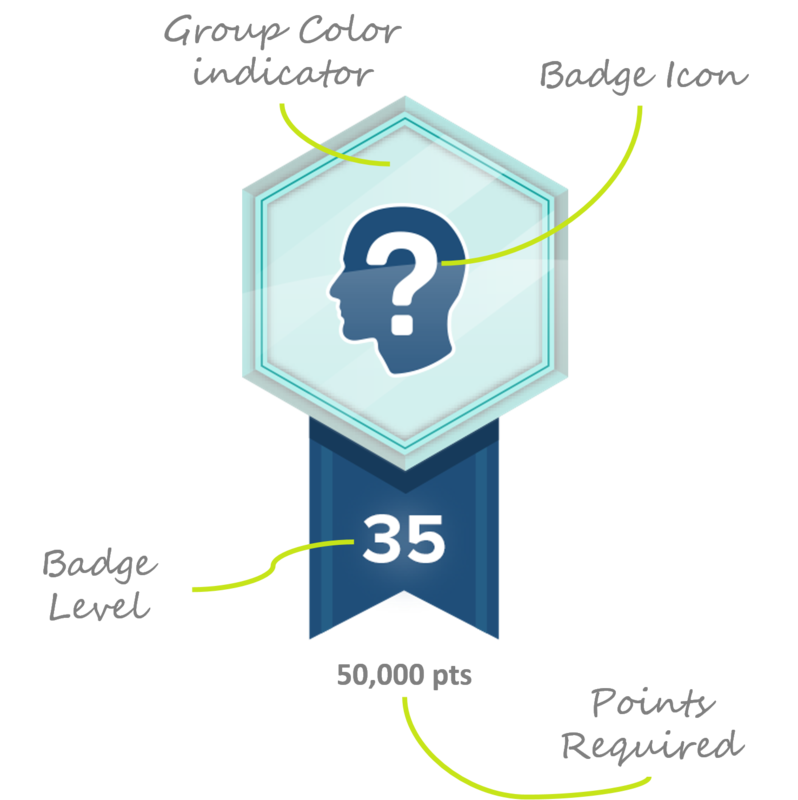 Badge levels are organized in four progressively harder to reach groups: Bronze, Silver, Gold, and Platinum. Bronze Group badges can generally be reached through awards at any local level competition. Silver Group badges generally require at least one award at a regional or state level to earn enough points to reach. Gold Group badges will generally require a national level award to earn enough points to get here. Platinum Group badges are the crème of the crop, generally requiring an international level award to earn enough points to make it here. To rise through the levels in any ICS Badge, you need to earn “Award Points.” These points are provided when you receive an award for any of the competitions in the ICS network. 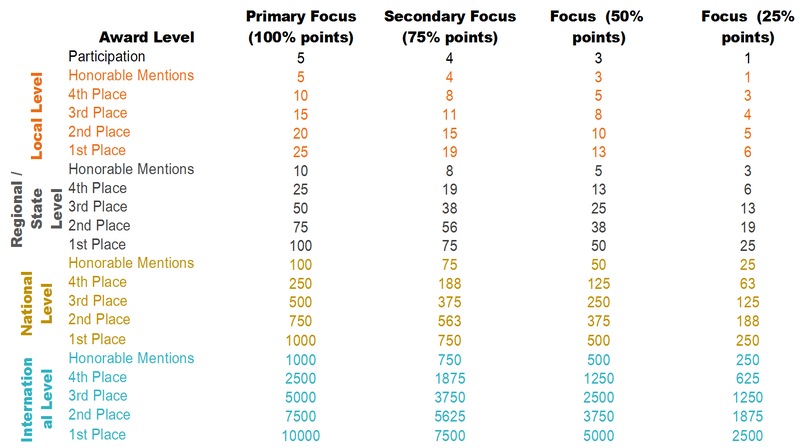 Because competitions come in a broad range of shapes and sizes, we have created an Award Points Rubric to determine how many points the awards you receive will provide toward ICS badges.